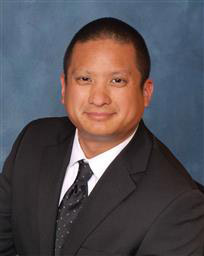 Rey O. Villanueva, Esq.’s Grant of Summary Judgment in Commercial Trucking Case Upheld By The Appellate Division. | Golden Rothschild Spagnola Lundell Boylan Garubo & Bell P.C. On January 19, 2019, the New Jersey Appellate Division upheld summary judgment in favor of GRSLB&G client, Seashore Asphalt Corp., A-4632-16T1, A-4805-16T1, and A-4954-16T1. The underlying action stems from a motor vehicle accident on November 4, 2013. Co-Defendant, South State, Inc., required certain portable concrete highway barriers, stored at a site near another project, in order to complete the construction of an exit ramp off the Garden State Parkway. An employee of South State contacted Seashore Asphalt requesting vehicles for hauling barriers, which Seashore Asphalt provided. Additional trucks were needed and as a result, Seashore Asphault contacted Defendant, One Sun, to provide additional trucks and additional drivers. One Sun’s driver, Greg Hoover, after delivering the concrete highway barriers failed to stop at a traffic light, striking several vehicles in the intersection, causing injuries, and finally landing on top of an overturned car that had been stopped at a red light. One of the occupants of that vehicle died. In terms of Seashore Asphalt, Plaintiff alleges that direct liability can be assessed against Seashore Asphalt because it negligently hired One Sun and Hoover. In affirming Summary Judgment, the Appellate Division held that there was no basis to find One Sun and Hoover incompetent. Generally, “where a person engages a contractor, who conducts an independent business by means of his own employees, to do work not in itself a nuisance, he is not liable for the negligent acts of the contractor in the performance of the contract.” Mavrikidis v. Petullo, 153 N.J. 117, 131 (1998) (quoting Majestic Realty Assocs., Inc. v. Toti Contracting Co., 30 N.J. 425, 430-31 (1959)). However, Majestic carves out three exceptions of this rule: (1) if the principal reserves control “of the manner and means” of the contracted work, (2) where the principal hires an incompetent contractor, or (3) where the activity contracted for constitutes a nuisance per se. Mavrikidis, 153 N.J. at 134-37 (citing Majestic, 30 N.J. at 431). The Appellate Division found that the accident was unrelated to One Sun’s ability or inability to haul the barriers, which was the task for which Seashore hired One Sun and Hoover. Further, the Appellate Division found that Hoover possessed a valid commercial driver’s license while he was driving for One Sun, and thus was not seemingly unfit to drive as the State of New Jersey was concerned. Accordingly, the Appellate Division found Plaintiffs’ characterization of One Sun and Hoover as incompetent to perform the task lacks support in the record. Additionally, Plaintiffs argue that since Seashore Asphalt, was “an alter ego” of South State, it would also be liable for South State’s negligence. The Appellate Division found that Seashore Asphalt was merely a middle man in the transaction that led to the subject accident and it was not the alter ego of South State. The Appellate Division found that the Plaintiffs could not demonstrate that Seashore Asphault was a mere instrumentality of South State and could not demonstrated that Seashore was used to perpetrate a fraud or injustice, or otherwise to circumvent the law as required by State, Dep’t of Envtl. Prot. v. Ventron Corp., 94 N.J. 473 (1983). The Appellate Division found that the marriage between the owners of the two companies was not a basis for piercing the corporate veil. Although the two companies had an ongoing business relationship, the Appellate Division found that the companies were ultimately distinct entities. Further, it was found that the record was devoid of any fraud or injustice. Accordingly, because Seashore Asphalt was not an “alter ego” of South State, Seashore Asphalt could not be held liable for any alleged negligence of South State. The underlying action and appeal was handled by Rey O. Villanueva, Esq., who practices in the firm’s litigation department at GRSLB&G.